How Safe is Your Vehicle? | Hupy and Abraham, S.C.
Is your car safe, is it going to stay that way, and how do you know if there’s a dangerous malfunction just waiting to happen while driving down the road? These are the questions we all have as automakers like GM, Honda and Chrysler continue to issue recalls of older vehicles, five or more years old, which have been allowed to go undetected or ignored. The number of automobile recalls in 2014 -- nearly 700 -- rose to their highest numbers since the 1960s. And, they show no sign of letting up as we continue into 2015. Safety advocates from within the industry are pointing out that these numerous recalls are the disturbing result of years of poor management by manufacturers, and the lack of oversight by their regulating agencies. GM’s ignition switch failures have resulted in at least 13 deaths, and over 39 million recalls. The cost to fix the problem is only about $1 per vehicle, yet the failure to remedy the known defect has cost GM far more in fines and reparation. Similarly, the Takata airbags malfunction -- airbags that explode and release metal and plastic shrapnel upon inflation -- has caused at least five deaths and over 130 injuries globally. How is one supposed to feel safe with cars like this on the road? Groups like the American Association of Justice (AAJ) have done much to bring automobile safety into the forefront of the industry, and many new safety measures are in place resulting in safer new vehicles. However, as these older vehicles remain on the road with problems unknown to the owner, accidents continue to happen. Manufacturers are required to notify the owner of a recalled vehicle of the problem. However, many of these older vehicles are purchased used and often the current owner has no knowledge of the recall. If there is a safety recall, your manufacturer will fix the car or equipment free of charge. Make a habit of regularly checking for safety-related recalls for your vehicle. The personal injury attorneys at Hupy and Abraham recommend visiting the National Highway Traffic Safety Administration (NHTSA) website, SafeCar.gov. Here, vehicle owners can use the VIN search feature to find recalls affecting their vehicle, as well as subscribe to receive updates on the latest recalls, and stay on top of other vehicle safety updates. 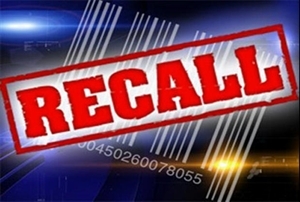 If you find that your vehicle needs repair and is part of a safety recall, get the relevant recall information so you can contact the manufacturer or dealer immediately. But, in the unfortunate event that you or a loved one are injured because of an automobile manufacturers’ defect, please contact the personal injury attorneys at Hupy and Abraham at 800-800-5678.